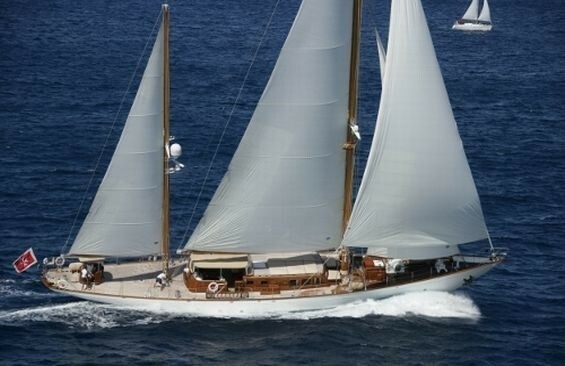 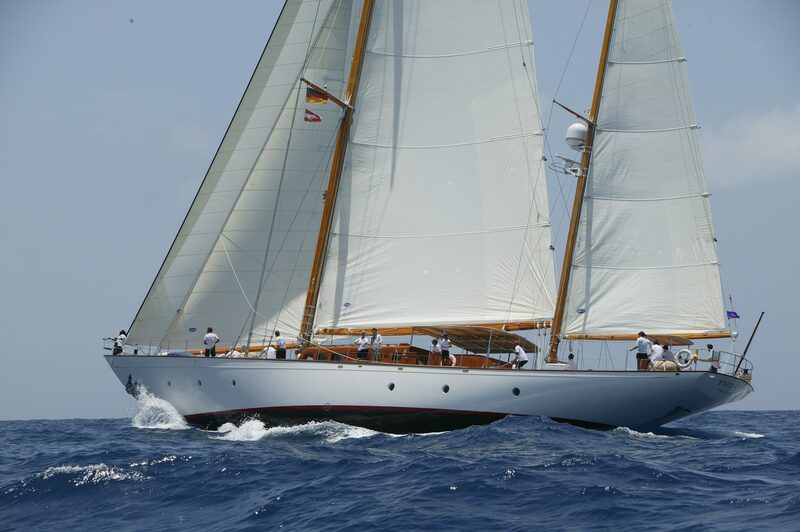 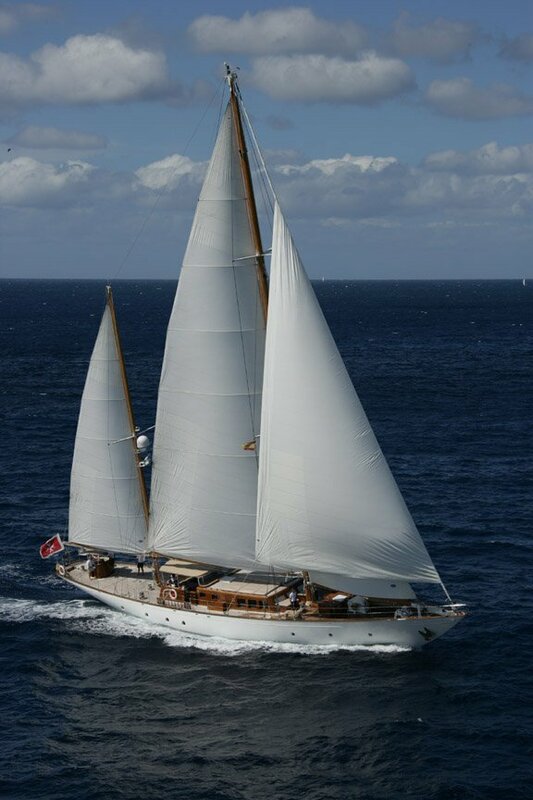 Tiziana (ex Aspasia Alpha) is a luxury classic sailing yacht that was built in 1963 by Abeking and Rasmussen to a Sparkman and Stephens design. 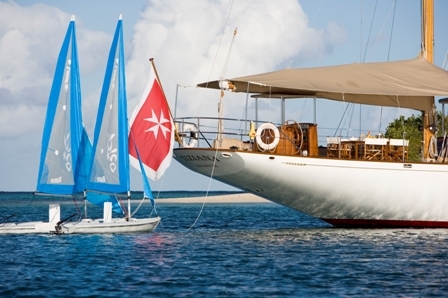 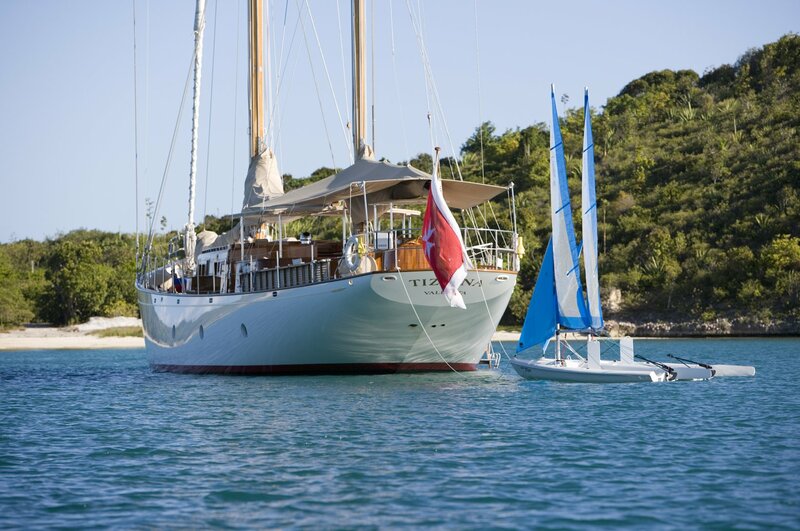 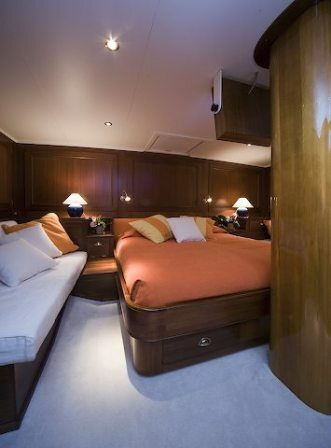 She offers comfortable accommodation for up to ten guests on board. 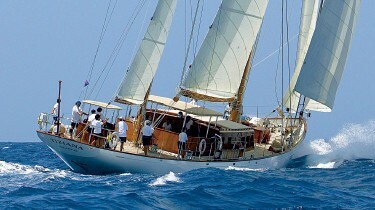 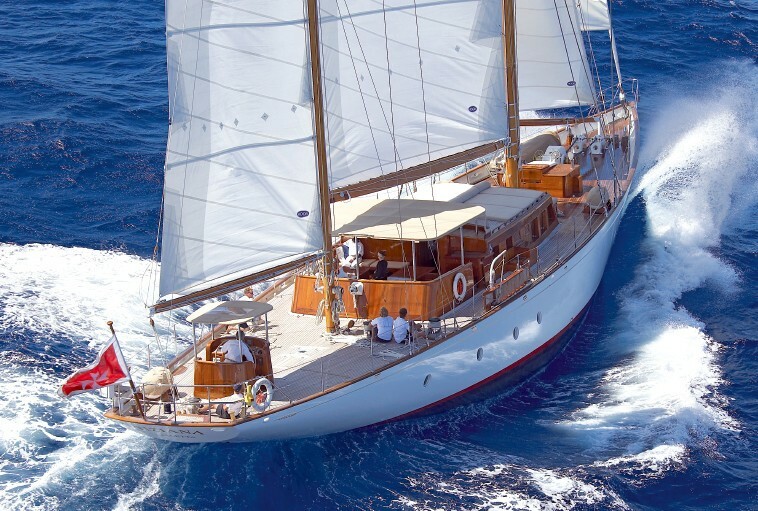 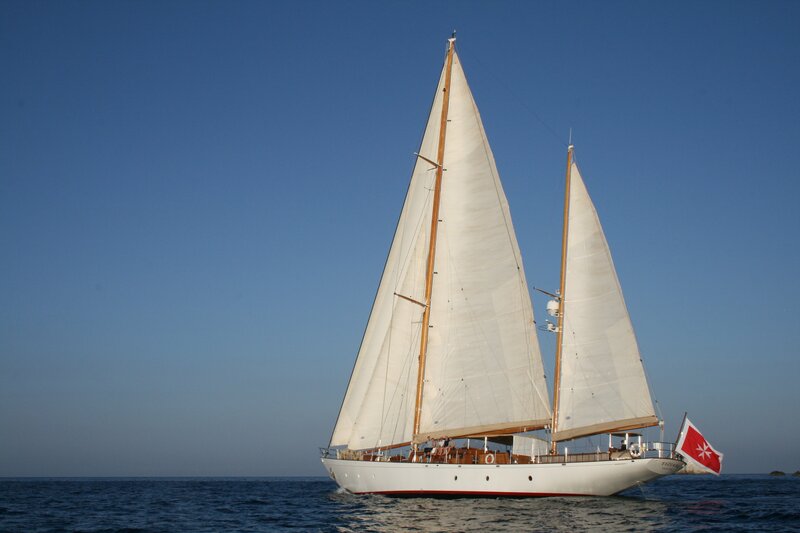 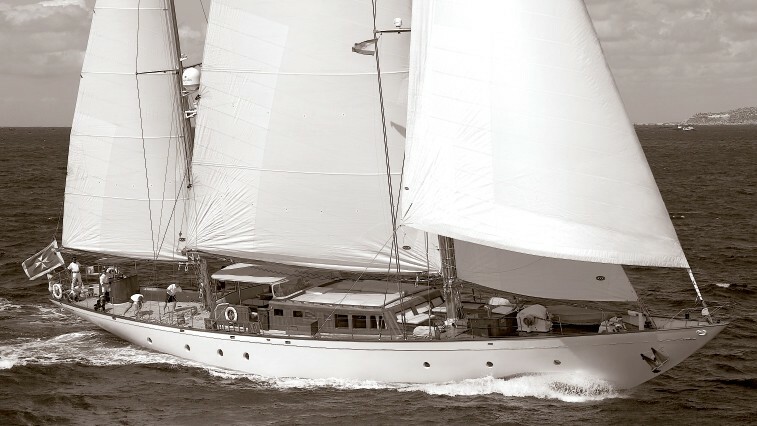 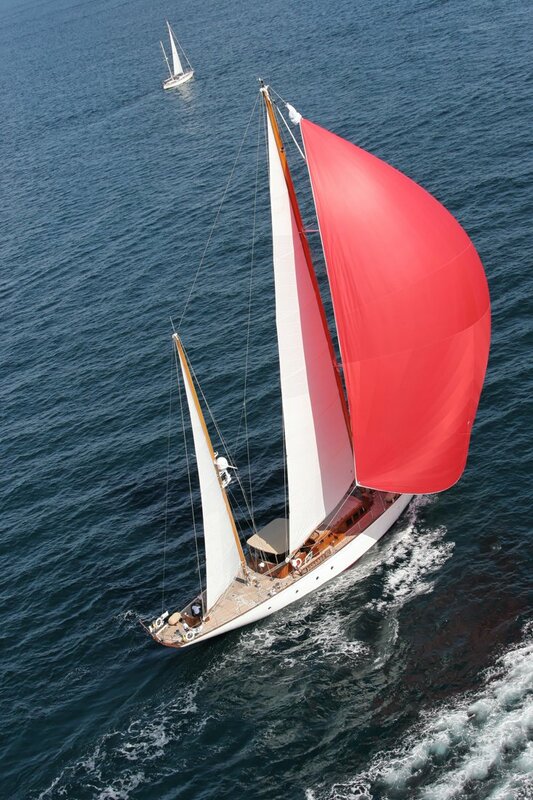 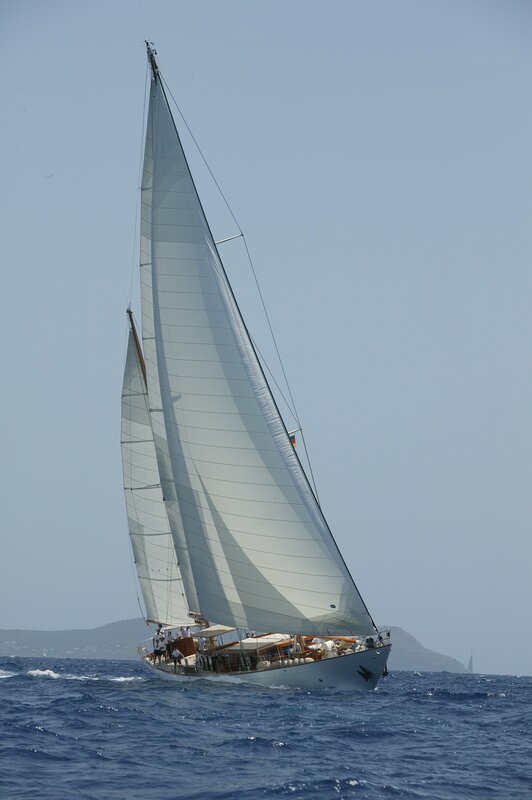 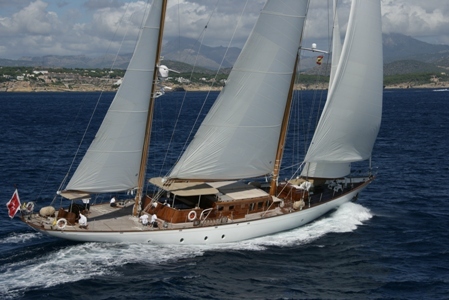 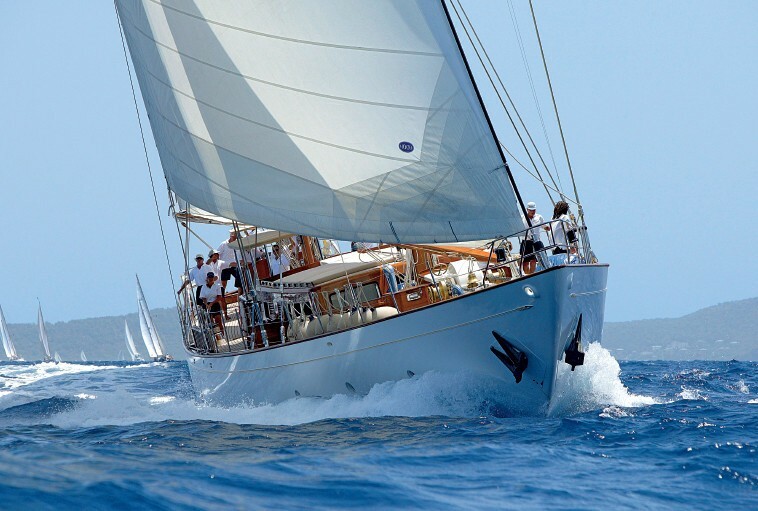 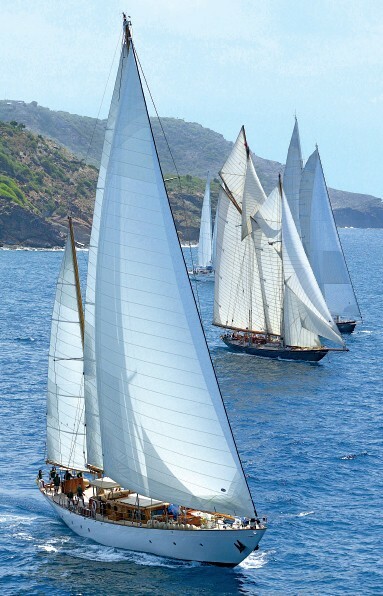 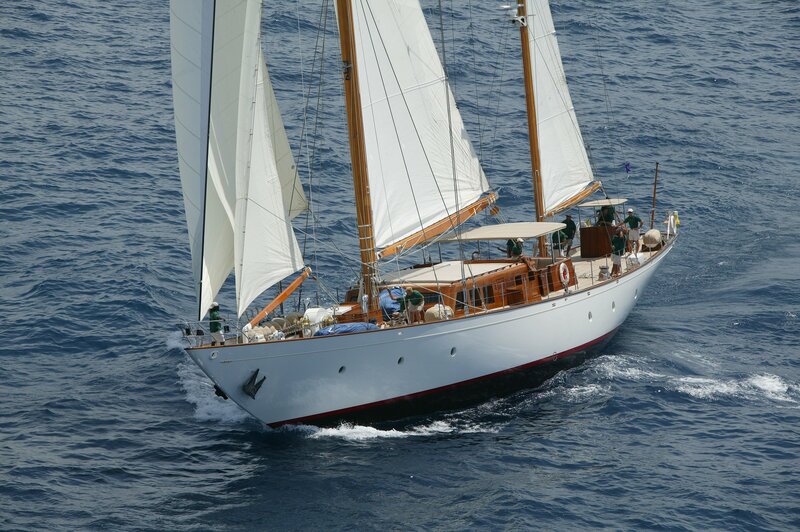 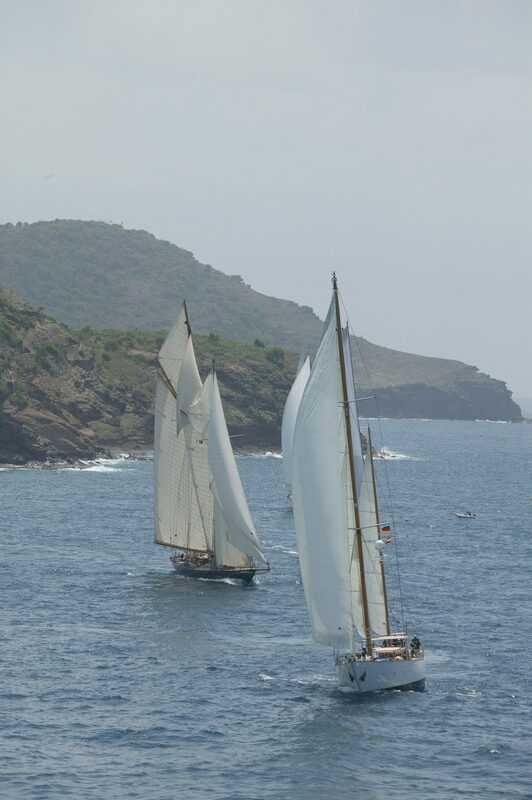 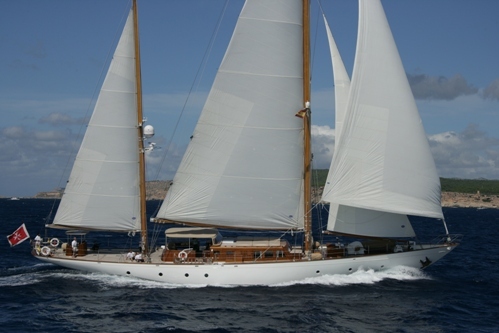 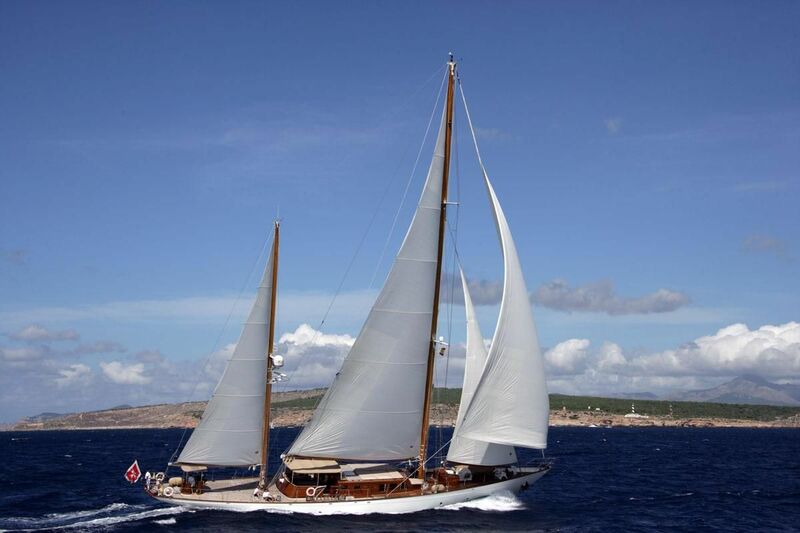 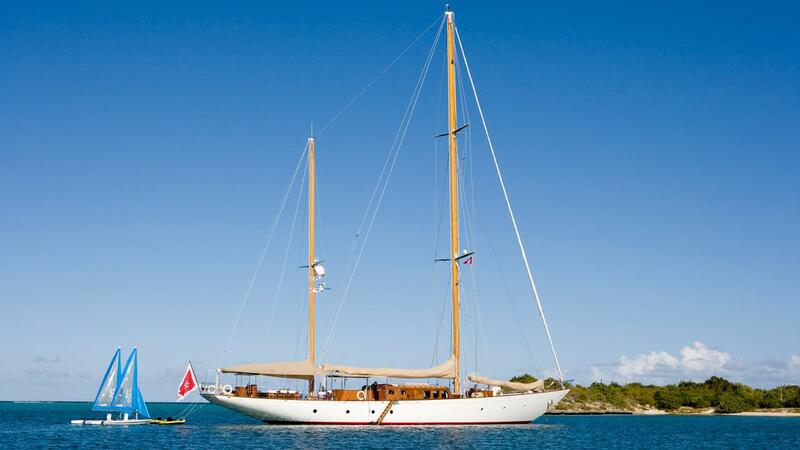 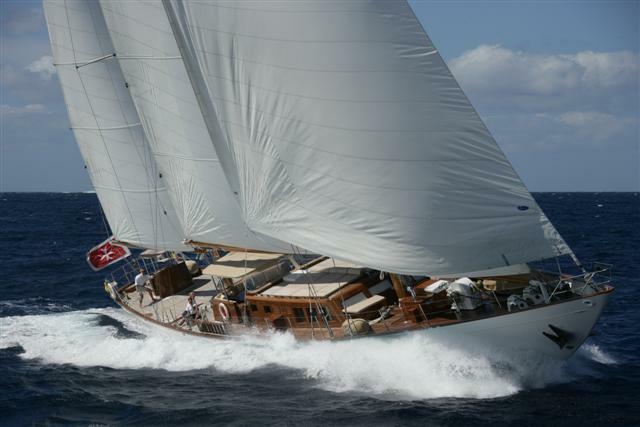 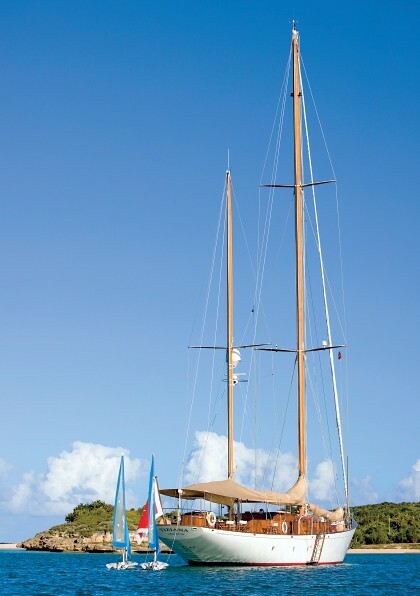 In 2005/06 Tiziana was completely rebuilt at Vitters shipyard in the Netherlands. 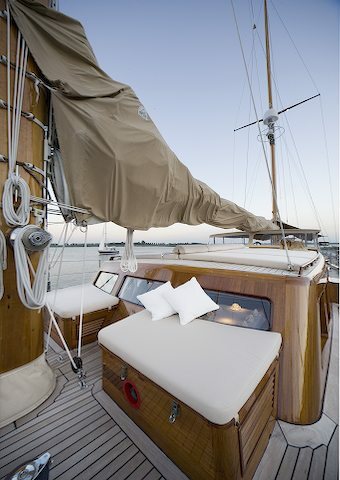 The cockpit is the main feature of the yacht (see photo below) – it is covered by a large bimini (which also has roll down sides with windows) and it enables the guests to be able to be outside even in not-so-perfect weather! 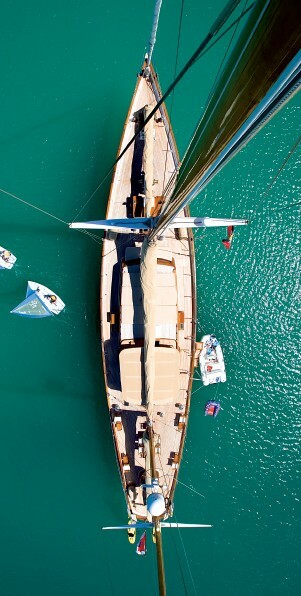 The cockpit has high seatbacks so it is a contained structure providing protection. 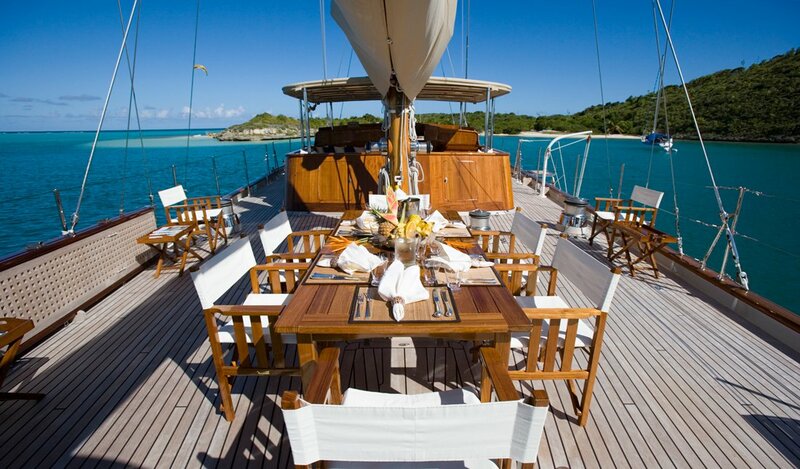 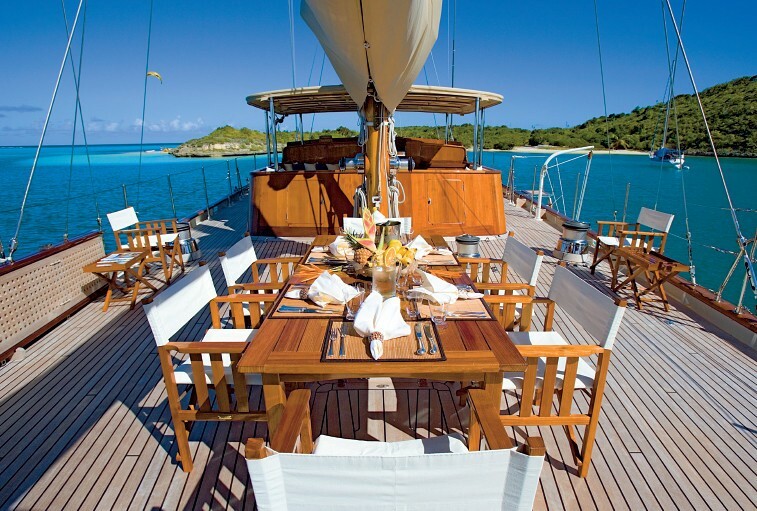 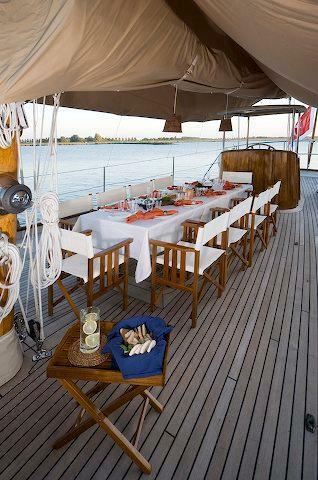 It also has two beautiful teak dining tables which can be lowered and covered with cushions to be a large sunbathing area. 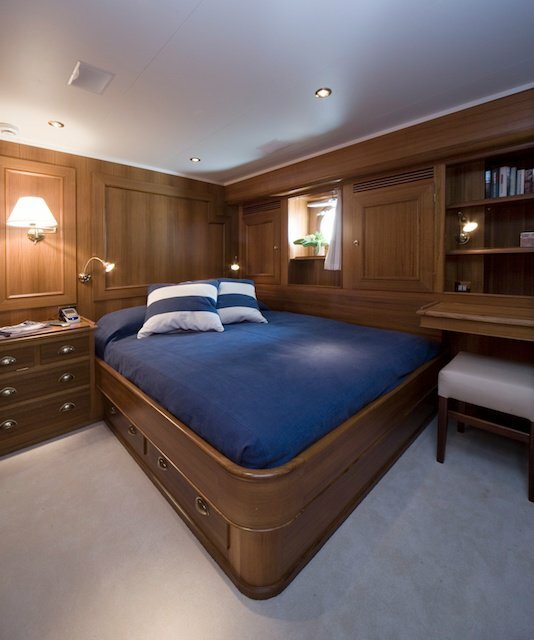 There are also further mattresses on top of the salon roof so there are plenty of places to sit back and relax and enjoy the sun and the sailing. 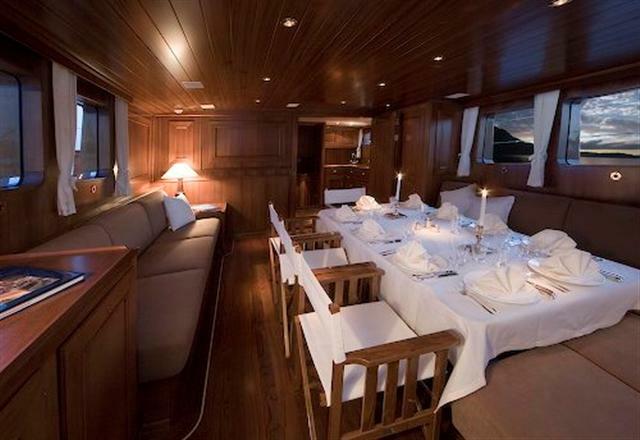 The saloon is extremely spacious and fully air-conditioned and has a beautiful simple and warm decor. 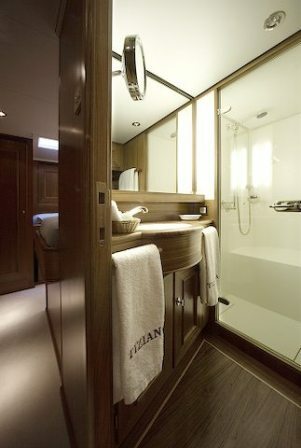 It also has fantastic large roll down windows similar to what you would find on an old railway coach. 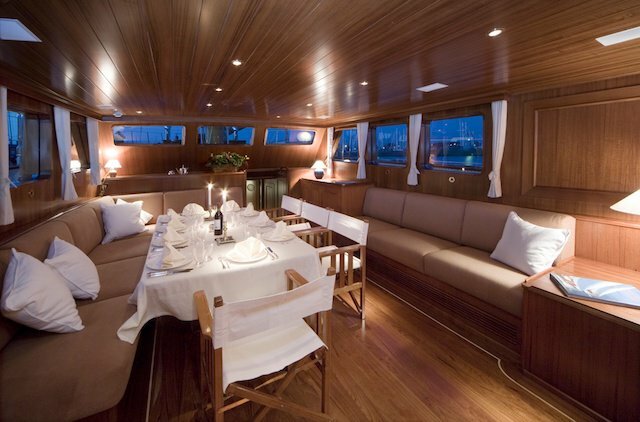 These large windows offer a fantastic panoramic view from the saloon. 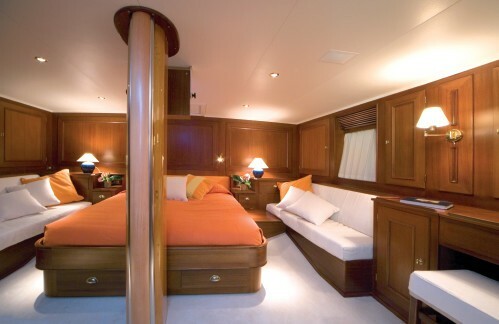 The aft wall of the saloon can be raised or lowered to open up the living area between the chart room and the saloon. 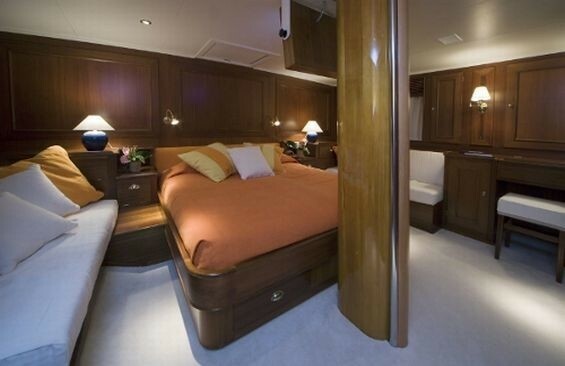 There is also a 40 inch flat screen pop up TV. 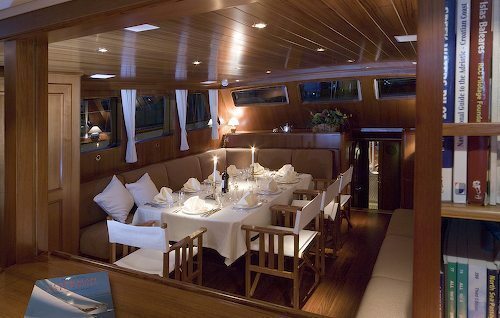 Luxury sailing yacht Tiziana can accommodate up to ten guests in four double cabins and one twin cabin and all cabins have their own private ensuite bathrooms. 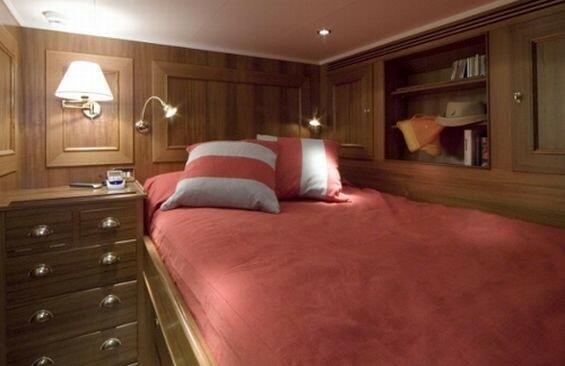 In each cabin there is a flat screen TV and BOSE system and guests can choose their own move or music from a large library stored in each computer. 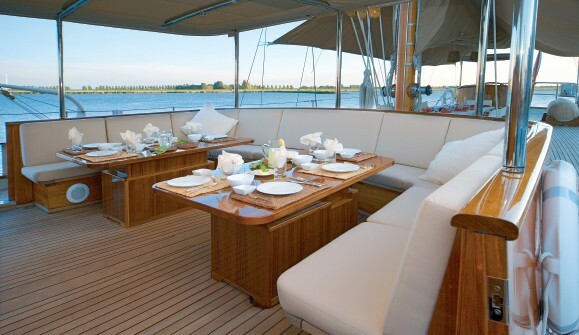 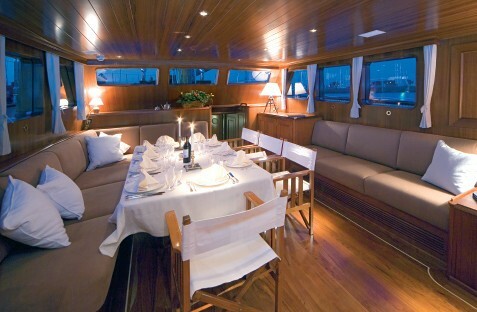 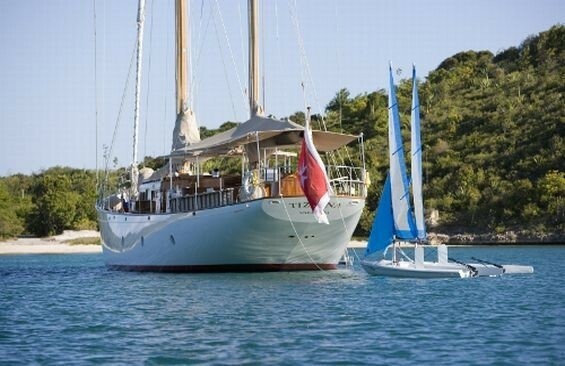 Tiziana can accommodate ten guests on board. 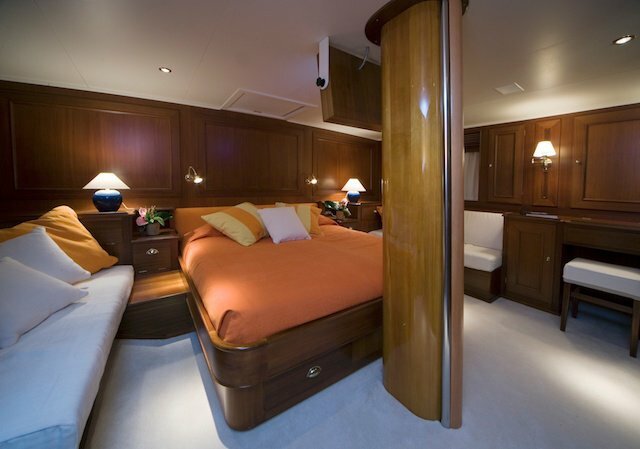 She has 5 cabins - four of which are double, and one is a twin (1 King, 3 Queen, 2 single). 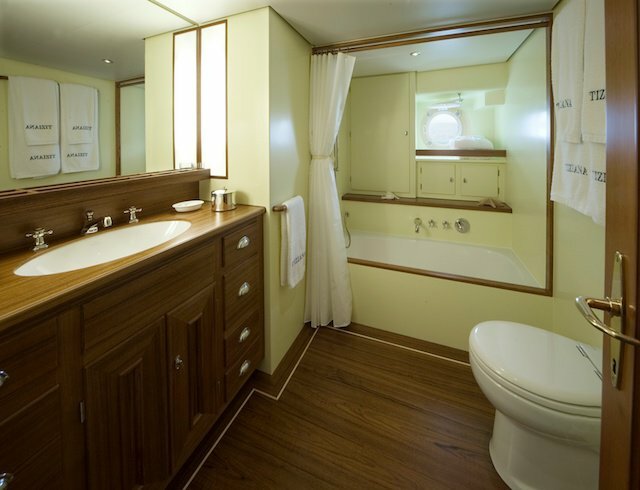 All cabins have ensuite bathrooms, and flat screen TVs and BOSE systems. 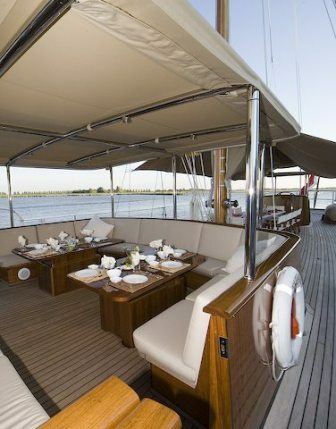 On board there are the following toys: Novamar N M 450 with a 50 Hp outboard and a new Williams 445 turbojet tender with a 143 Hp inboard engine, Fishing gear, 2 hammocks, 4 Bicycles.